Map with railway lines and full concrete airfield. BIS side engine update to add volumetric clouds to IF44 (not the weather module). If it possible I would like to have a more or less complete Eastern Front campaign playable from both sides. Listed updated with last two requests. The mortars use the same artillery computer as that in Operatoin Arrowhead. In note the anti tank guns in Iron Front also fire High Explosive rounds. It would be handy if the anti tank guns used the artillery computer. And how about more WWII style/30-40th year era music available in-game? Composed? Authentic tunes and songs (how long copyrights are lasting?)? Is there any composer/sound guru? JustFighter and Pashka if you have the talent and the models why not apply to the IFR team and help bring your dreams to reality!? Keep in mind to review the list before posting your requests to make sure what you would like to see isn't already requested. Also not this thread is not a discussion, good points Fudge but send them a pm. Is this the right forum to post this?- Things can get laggy when there's a lot of smoke and dust about, so I'd like to see a Thinner dust/smoke mod. List updated, added Thinner dust/smoke mod. IFL44: Alternative types of Trenches would be a welcome mod; i've run searches but there don't seem to be any. All the stock trenches have an annoying firing notch cut into them which means you can only fire in a forward cone because there are blind spots to either side. It's also difficult to place AI troops exactly right so that they can see through the notch. For example this AI schreck guy in a squad trench is a few inches too far to the right of the notch; i've gone back to the editor map several times to try shifting him to the left but it's a long time-consuming job to place him inch-perfect if you've got to do it with lots of units unless somebody can tell me an easier way. That's why a new trench mod with a flat un-notched top would be welcome. Alternatively, perhaps it'd be easier to simply mod all explosions to make them smaller, as they're too big anyway. Spike there isn't much we can do to edit the trenches as they are packaged up to be optimized and un-editable. 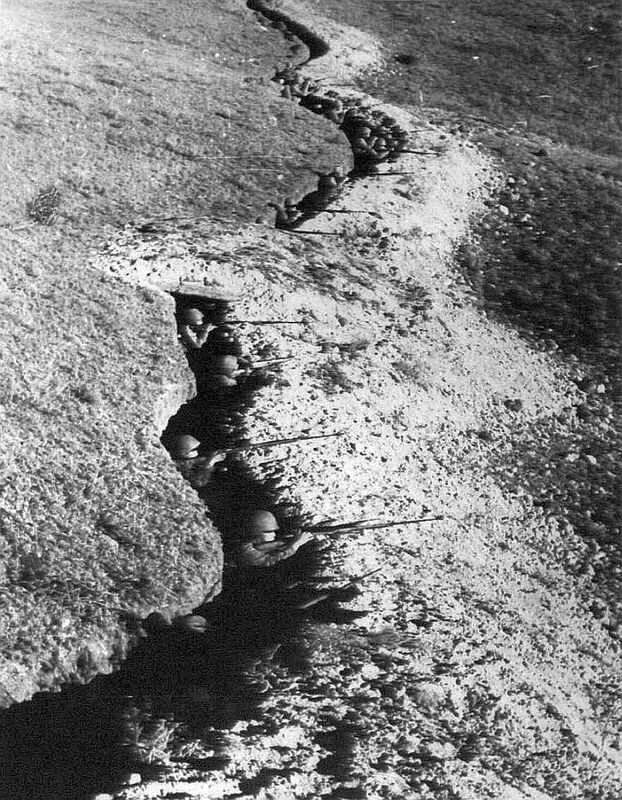 Flat topped trenches would also make it very easy to kill units inside them without the Arma 3 style movement where they could crouch down a bit less. To avoid the floating geometry try to place them on level ground and follow contour lines if required.